The sites listed on this page are only a small sampling of the more than six-hundred that we have launched over the past three years. If you are looking for work we have performed in a specific industry, please contact us. 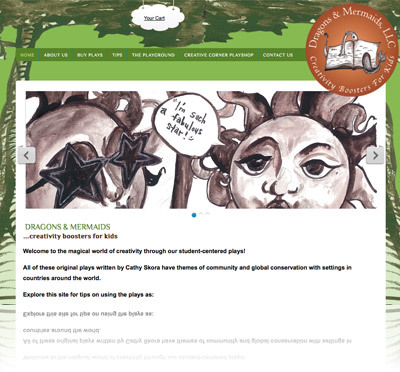 Dragons and Mermaids assists in opening the faucet of creativity for children of all ages through active-learning. Our launch project is a series of scripts to assist children in exploring their creative process through experimenting with a variety of characters and scenarios in their own context from which they can build on their creative and knowledge base. Core101 work includes: data integration, custom design, ecommerce, and content management. 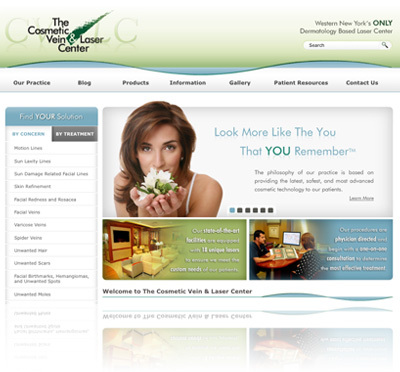 The Cosmetic Vein & Laser Center is WNY's ONLY dermatology based laser center. 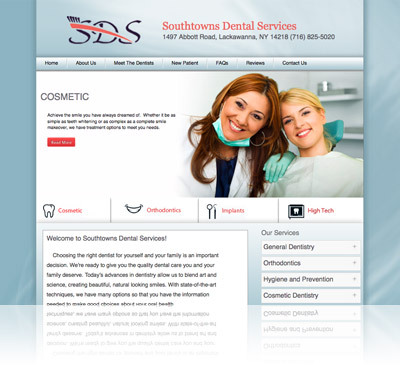 This site features a fresh look that allows users to easily navigate through the many treatments offered. Core101 work includes: content management system, custom design, custom photo gallery, secure messaging and live chat. Choosing the right dentist for yourself and your family is an important decision. We’re ready to give you the quality dental care you and your family deserve. Today’s advances in dentistry allow us to blend art and science, creating beautiful, natural looking smiles. With state-of-the-art techniques, we have many options so that you have the information needed to make good choices about your oral health. Core101 work includes: custom design, content management. Monks Bread offer more than just good bread. Every purchase supports the monastic life of the monks and helps assist others through various charitable agencies. 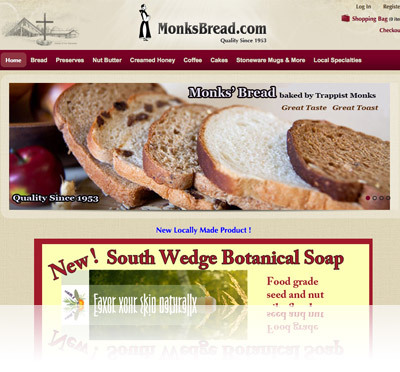 Monks Bread is a community of Trappist monks of the Roman Catholic Church, living their Christian life in the monastic tradition of St. Benedict. Core101 work includes: custom design, custom development, ecommerce, and SEO/SEM. 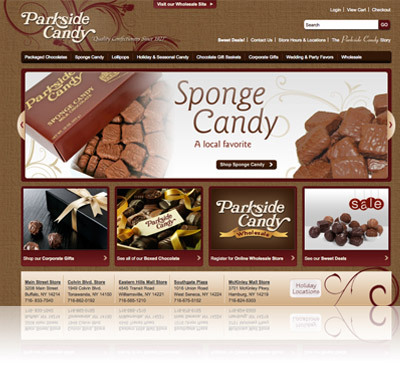 Parkside Candy has been a part of Buffalo since the company was founded in 1927. Creators of homemade chocolates, old-fashioned lollipops, an infamous old fashion ice cream parlor, and their signature confection, Sponge Candy - all bring a feeling of home and nostalgia with each delicious bite. Serving Rochester and Buffalo, NY. 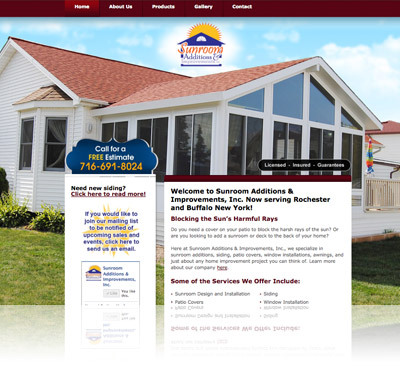 At Sunroom Additions & Improvements, Inc., we specialize in sunroom additions, siding, patio covers, window installations, awnings, and just about any home improvement project you can think of. Core101 work includes: design, ecommerce, content management system. 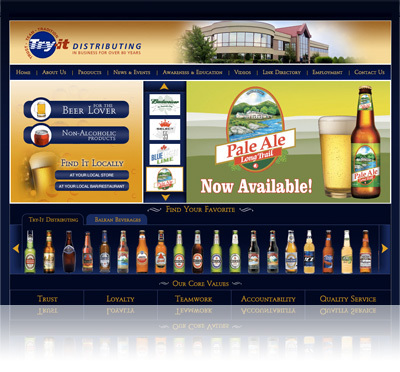 Try-It distributing is one of the largest distributors of non-alcoholic and alcoholic beverages in NY State. This site features numerous custom elements - including an awesome beer finder. Core101 work includes: custom web applications, custom design, data integration, branding, and hosting services. ANC Sports strives to create the premier event experience utilizing a turnkey solution with the very best state-of-the-art signage products in the industry. 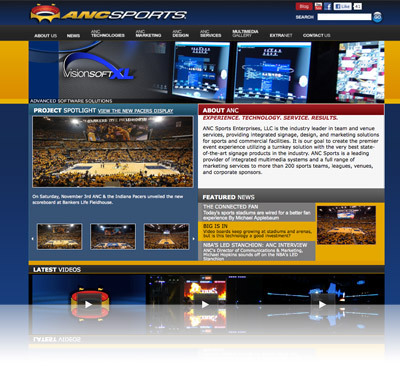 ANC Sports is a leading provider of integrated multimedia systems and a full range of marketing services to more than 200 sports teams, leagues, venues, and corporate sponsors. Core101 work includes: custom design, data integration, and content management.